When I discovered I'd have a 12-hour layover in Shanghai on a flight during the summer of 2012, I thought I'd explore the city. A little online research uncovered that travellers from a handful of countries were indeed eligible to enter the country on a special 72-hour visa-free transit allowance. When I arrived, however, my request at customs was met with suspicion and intense discussion between the guard, her co-worker and her supervisor, all of whom wanted to know why exactly I felt the need to enter the city. Eventually they let me in, but not without my promise that I would be leaving from the same airport that same day — which I did after exploring the historic Bund for a couple of hours. If I had been intending to stay any longer, according to official rules, I would have had to register with the local police within 24 hours. It would be illegal for me to travel to any other city during my short stay. And if I wavered from these or any of the other prescribed rules? The visa office is clear: "Violators of Chinese law shall be warned, fined or detained for a few days depending on the circumstances. Cases of gross violation shall be expelled from China and prohibited re-entry." The mistrust of outsiders runs deep, as evidenced by the Chinese government's English website, which states: "Foreigners should not participate in any political gatherings and should be aware that underground churches are monitored. Participation can be perceived as breaking the law and arrest can follow. Proselytizing is also not allowed, in or out of the classroom." Yet in the last year and a half, the number of Chinese airports offering this 72-hour visa has doubled and is now available to citizens of 51 countries, which is one small indicator of China's cultural shift. 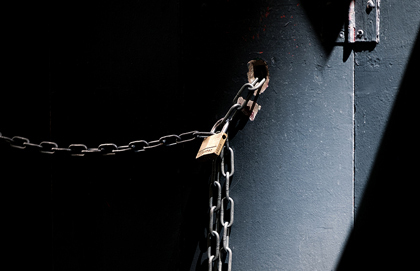 When it comes to the Church, the caution against outside influence remains much stronger. The government does allow non-Chinese residents to hold their own services, but photo ID proving citizenship of a foreign country is required at the door. "Foreigners" — a word that in Chinese is used to describe anyone who doesn't look ethnically Chinese — may worship in their own little pond, just as long as they don't pollute the great Yangtze River that is local culture. Churches also may not host visiting speakers from other countries. To understand this posture, it's helpful to consider the history of the missionary movement in China. A number of devoted and heartfelt people spent their lives sharing the Good News of Scripture with the Chinese people. Catholic missionaries have been travelling to China for more than 700 years, and their influence has had a slow-but-steady effect because of people such as Franciscan priest John of Montecorvino, who arrived in Beijing in 1294, and Jesuit priest Matteo Ricci, who founded the Jesuit China Mission in 1601. There is also a small Orthodox population because of Russian/Siberian Orthodox missionaries who arrived in China in 1685. Protestant outreach, on the other hand, gained momentum in the 1800s, thanks to missionaries such as Robert Morrison, who translated the Bible into Chinese, and James Hudson Taylor, known for his belief that those serving in China should adopt local customs of dressing, living and eating. In 1886, Taylor requested that his British agency recruit 100 people to join his work in China, and "The Hundred" arrived the following year. The infamous Boxer Rebellion occurred shortly there-after, from 1899 to 1901. The Boxers were a secret society that relied on martial arts and spirit possession to preserve Chinese traditions and eradicate foreign influence. During the rebellion, 47 Catholic priests and nuns and 136 Protestant missionaries were killed by the Boxers. But these numbers pale when we consider that an estimated 32,000 Chinese Christians were slaughtered as well. Despite this tragedy, the following years showed growth in Christianity, partly thanks to the practices of Western medicine introduced by many missionaries. But from 1925 to 1949, the Japanese occupied China and the Second World War was waged. This horrific time for China was followed by the civil war between the Communist party and the Kuomintang that resulted in Mao's rise to power. In the new People's Republic of China, foreign missionaries were not welcome. One friend of mine arrived from Seattle in 1948 as a 21-year-old eager to serve God on distant shores. She was literally chased out of China by soldiers with guns in 1951. The Chinese churches were on their own. That year, Y.T. Wu, a Christian leader, began the Three-Self Patriotic Movement (TSPM) in collaboration with premier Zhou Enlai. The three components of the movement — self-governance, self-support and self-propagation — brought these churches in line with the mandate to avoid foreign influence and maintain patriotism. In 1957, the Chinese Patriotic Catholic Association (CPCA) was founded so that the government could oversee the goings-on of the Church, but it was condemned by Pope Pius XII in his encyclical Ad Apostolorum Principis the following year. Since then, the Vatican has not recognized bishops ordained by the CPCA. Over the next few decades, Mao cracked down on the people of China in numerous ways. He considered religion a means of foreign infiltration, and so all Chinese citizens were "encouraged" to adopt atheism. In his Little Red Book, Mao referred to religious authority as one of "the four thick ropes binding the Chinese people." During the Cultural Revolution (1966-1976), expressions of religion were banned, which led to more and more underground house churches. In order to prevent the growth of these churches, China brought back the TSPM in 1979 and established the China Christian Council (CCC) the following year. Since then, the Church has existed in China officially, under either the CCC or the CPCA, and unofficially. In the 1980s and 1990s, many assumed that Christianity had been almost completely suppressed in China. "Just three decades ago, few researchers even within mainland China knew whether religion had survived the Cultural Revolution initiated by Chairman Mao Zedong. It is clear now, however, that religion not only survived but that hundreds of millions of Chinese today have some religious faith," according to studies by the Pew Research Center. There's no way to determine how much of the Chinese population is Christian today. Estimates range from 34 million to 150 million, with the Chinese Communist Party's official number at about 24 million. But there is no doubt that the number, whatever it is, continues to grow. 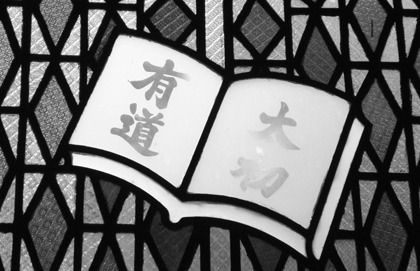 Although the TSPM was created to help mitigate foreign influence, visitors are allowed to drop in on Chinese congregations provided they are seen and not heard. The first time I went to China was in 2007, and the first church I walked into was the same congregation in Beijing that former U.S. President George W. Bush visited on his 2005 trip to the capital. It felt like a fairly traditional service by Western standards, perhaps similar to the average Presbyterian mass in Canada. Nothing about it stood out to me very much, probably because my understanding of Mandarin was very limited at the time. But the next church I visited was in a different city, this one in Shandong province. I had the opportunity to speak with Mr. Wu, the man who helped found it. Although this was also a Three-Self church, it seemed to bend a few of the regulations by supporting house-church leaders. Mr. Wu had an interesting take on government relations: "I just told them what we wanted to do, and they said, 'Okay.'" The result is a vibrant, enormous congregation that continues to grow. "You must join us this Sunday," he told me. "It's a baptism week." As I sat in the huge sanctuary a small line of people of nearly all ages — "nearly" because the Party doesn't allow anyone under the age of 18 to be baptized — began to form on one side of the platform up front. They proceeded, one by one, to the baptismal font to be immersed in the water. As they crossed the stage, another group lined up. In total we witnessed about 100 baptisms that morning. But what astounded me was that this baptism service takes place every month. The other thing that stood out for me was the attentiveness of the congregants to the sermon. Ms. Li is a Chinese-Canadian Christian who has travelled to and spoken at many churches — both official and unofficial — in China over the last several years, and she describes Chinese Christians as "hungry and thirsty." Personally, I have never seen such hunger or thirst anywhere else. Hundreds of men and women, from arthritic seniors to skinny teenagers, were all leaning forward in their pews, furiously scribbling notes, completely glued to the speaker at the front. But this strength could also be a weakness. When everyone is so eager to learn, and yet building a foundation from nothing, how can the leadership prevent wrong concepts from creeping in? I heard one story of a foreign teacher in China who became concerned when a friendly student suddenly became very serious. Knowing she was a Christian, he questioned her one day, worried that she might be depressed or hurt in some way. "Christians should never smile," she explained, "because Jesus has died." Misconceptions, superstitions and confusion abound in the Chinese Church. On the official level, a state-controlled seminary will be forced to teach only in a way that will edify the government's ideology. Ms. Li told me that the seminary in China cannot be trusted. I asked her why she was concerned about the TSPM. "The human heart is wicked," she said, "and a Chinese communist is not of God." In other words, "absolute power corrupts absolutely." But even on a logistical level, one seminary simply doesn't meet the needs of the most populated country in the world. Dr. Aiming Ambroise Wang, vice-president of Nanjing Union Theological Seminary, the only Protestant seminary in the People's Republic of China, has estimated that there are only about 2,000 pastors to shepherd the millions of Christian in China, and most of them are relatively uneducated. "Christian" cults have sprung up that no doubt appeal to Christians eager to learn more about the faith but who are completely uninformed as to any of its basic tenets. For example, some sects have said severe natural disasters were God's punishment because the areas hit hardest had too few believers. One of the most bizarre cults, called Eastern Lightning, teaches that Jesus has already come again as a 30-year-old woman but is now in hiding, and that the Bible has become outdated. Reverend Chang, a pastor based in the United States, has visited China several times a year for the past decade. "Heresy is going on there, and that is one of my biggest concerns," he says. "Overseas influencers also go to China and prey on the lack of education and understanding." Even among more established Christians, there is a lot of misunderstanding. Because the Catholic and Protestant Chinese missionary initiatives happened in such different ways and with very little connection between them, the schism runs remarkably deep. To illustrate this, consider that the Chinese Catholic and Protestant Bibles have been translated so differently that the names of the books, apostles and prophets are completely different. Even the word used to refer to God varies: Catholics favour "TianZhu," meaning "Lord of Heaven," while Protestants will use "ShangDi," which most closely translates to "Celestial Emperor" and is also the name of a sky deity in ancient traditional religion. "Historically," explains Dr. Wang, "this kind of misunderstanding was caused by the different missionary policies of both Catholics and Protestants during the 19th and early 20th centuries in China, and is seen in the obvious phenomenon of the different Chinese terms." Unfortunately, this difference in language and tradition has caused modern-day Protestants and Catholics to remain quite suspicious of one another. Dr. Wang says that today this division is so severe that "ecumenical communications exist only at the private level between theologians." However, he has faith that education is the cure. "The situation is changing. Nanjing Union Theological Seminary encourages students to communicate with the Catholics and also to study Catholic theologians. There are also Catholic sisters who have followed the Biblical courses offered in our seminary." Despite Nanjing being the only official seminary in China, people are learning more about the faith in other ways as well. Reverend Chang has been encouraged by the growing level of training available to Chinese Christians. "This has gotten better recently," he says. "Christians from the United States, Canada, Hong Kong and Taiwan help." Within China, resources are expanding. Dr. Wang's seminary increased the size of its campus over the last few years, allowing it to train greater numbers of pastors. Reverend Chang cites two other factors that have led to better training. First, Chinese Christians have more freedom now than in the last hundred years. Second, because China has experienced such incredible economic growth, more Christians are able to receive overseas training. He has observed that this leads to Chinese people being more aware of Christianity and also getting involved in overseas mission work around the world. "Of course, it is exciting because I've been involved in training them." Ms. Li has noticed this trend as well. "A lot of leaders will gain training and encouragement from elsewhere," she says. Travel between mainland China and some of its stepchildren such as Hong Kong and Taiwan has opened up recently, allowing church leaders to seek an education there. "Some also come to North America to be trained, and when they go back they have to be careful," Ms. Li told me. "And we have to be careful in the U.S. as well; there could be spies." Her voice dropped a few decibels: "Judas was one of the disciples, too." I can vouch for Ms. Li's plea for discretion from my own experience of researching this article. Although I've travelled to China and have many connections to people who've lived and worked there, it turns out that finding people willing to talk about the Church in China still isn't an easy task. Even when assured of anonymity, many of the people I was hoping to interview (such as a former co-worker's friend's mother whom I once heard had been involved with smuggling Bibles across the Chinese border) declined to share their experiences with me. Reverend Chang agrees that caution is still needed. He told me that 10 years ago, he was detained in Manchuria for 20-some hours and then released, but he has returned to China time and time again since. Then he requested that I use a pseudonym when referring to him. "Some places are very free; others are a little bit tighter," he said. "The individual leaders in each spot make a big difference. The police become nervous and check whether there is any illegal activity. So foreigners need to be cautious because if they are very open, they'll likely be stopped." Ms. Li shared one situation in particular that really drove home the point. She told me about a Chinese woman she works with who lives in North America and became a Christian. The woman asked Ms. Li if she would call her brother in China to share the Bible with him. "One night," she said, "we talked for three and a half hours, and he decided to become a Christian." Ms. Li knew a house-church pastor in the area and offered to put him in touch with the brother to help answer any questions he might have. When she told her co-worker, the woman became quite angry and asked her not to contact the pastor. Why? "She wants her family to become believers, but she doesn't want them to be connected to a church. It's too dangerous." According to Bob Fu, founder of CHINAaid, the woman was right to be concerned. In an article posted on the Christianity Today website last year, he explained the frightening findings of CHINA aid's annual report. "Our report does not conclude that the Chinese government is trying to 'wipe out Christianity.' Instead we show through the government's own secret directive and documents that its policy is to 'eradicate' Protestants affiliated with the 'house-church' movement unless they affiliate with the TSPM in the next decade." As I chatted with Ms. Li, I thought about the situation in China and couldn't help but compare it to Quebec, with its Charter of Values and mandated ethics and religious culture program. So I asked her whether she thought we were in danger of becoming as bad as China someday. Her answer pulled no punches: "Sometimes I think North America is worse. Christians need to be praying a lot more and truly living out the Gospel." Reverend Chang also warned against complacency: "Traditional churches often work just internally and want to focus on friendship and fellowship. They don't pay attention to the world around them. But we can learn a lot from China. The Lord is doing mighty works overseas, especially in China following the persecution. They already know that their faith is not merely inherited. They don't take their faith for granted." During that short trip to Shanghai, as I was strolling along the waterfront, I encountered two young English teachers, Susie and Nan. Being from Harbin, a large but relatively remote city in Heilongjiang province, they were quite excited to meet an English teacher who was a native speaker. We sampled traditional teas together, chatted in "Chinglish," and exchanged small souvenirs. In the last moments before we said goodbye, Susie surprised me by asking in hushed, urgent tones whether I was a Christian. Their own families were traditional, Nan explained, but could I explain more about this religion? What they had heard intrigued them. Susie and Nan didn't understand much about what was, to them, a "foreign" religion. And yet, even the fact that they'd gleaned some inklings of a different faith from their own shows that Chinese culture is progressing. Still, I was hesitant to share much of my own perspective. After all, if these curious young ladies thought I was crossing the line from discussing to proselytizing, they could have reported me. I would prefer to believe, though, that Susie and Nan represent the thousands in China who are excited to gain access to information and ways of thinking that could transform their country.